Osprey Racing is a non-profit chapter of Society of Automotive Engineers (SAE). 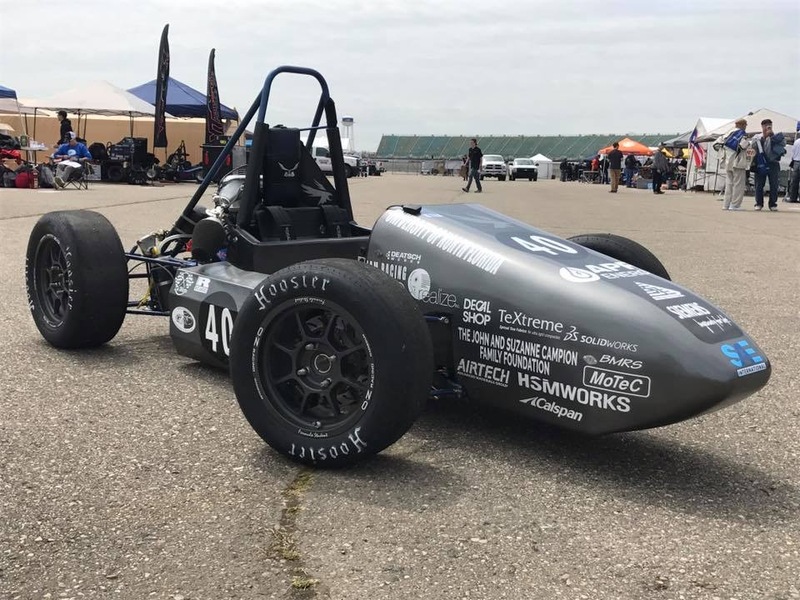 We are a group of University of North Florida students designing and building a formula race car to compete internationally against other universities. Since we are non-profit, we rely entirely upon the support of our local community for financial, material, and technical resources. Without the generous support of our sponsors, this program wouldn’t be possible. Osprey Racing was founded in January 2010. The school did not have the resources to support to program, but the will and drive of the founding members was able to overcome this challenge. We are now recognized by the university as an integral part of the engineering program. With the help of our 2012 sponsors we were able to design and manufacture the schools’ first Formula SAE car. In May 2017, we drove to Michigan International Speedway and competed among 120 other universities. We were extremely successful and look forward to making improvements for 2018. • Real world experience not available in traditional classroom environment. • Develop practical skills such as leadership, project management, and teamwork. • Hands on experience with manufacturing, welding, machining, and CAD modeling. • Gain a professional advantage over their peers and become among the top candidates in their field. • Sponsor University of North Florida’s first Formula SAE car. • Receive tremendous company exposure to professionals and potential customers. • Stay updated with Osprey Racing’s quarterly newsletter. • Recognized during Osprey Racing interviews, presentations, & university activities. • Logos will be placed on team apparel, banner, website, and the race car. • The car will be displayed on campus, viewed by thousands of students. • Corporate Sponsor Days – when finished, Osprey Racing will loan the car to our most valued sponsors. The car can be displayed in your lobby. If you choose to sponsor Osprey Racing, we will do everything in our power to drive money toward your business. We will drive traffic to your website, and publically advertise your services and products whenever possible. It’s important to us that you feel rewarded for sponsoring us. Whether you’re a national company or a local Jacksonville business, Osprey Racing will do everything we can to drive business to you.